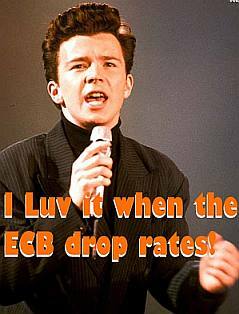 Today the Central Banks of Europe cut rates, the Bank of England started with what was their biggest ever single rate cut in their history as an independent operation as well as introducing one of the lowest base rates since their inception in 1694. Their reduction of 1.5% or 150 basis points brought their base rate to 3%. The ECB then dropped rates by 0.5% or 50 basis points meaning we now have a new base rate of 3.25%. The question we have received is ‘will my bank pass on the rate cut?’. In short yes and no, because every bank will differ in what they plan to do. Many will pass on a full rate cut, in particular the banks covered by the Irish banking guarantee will be pressed to pass on the rate cut, others however may not. Recently Bank of Ireland failed in passing on the full rate cut to their clients. Bank of England have brought in a drastic rate cut despite inflation being at 5.2%. This is a big monetary stimulation at the same time as we are seeing inflation in the UK well above its target rate and for that reason it will likely spurn on more inflation. The last time rates in the UK were as low was after the second world war and prior to that it was in May 1931 during the Great Depression. The ECB is also doing the same, inflation is not yet at the perfect level of ‘close to but just below 2%’. The future of credit looks like it will be one in which loans are still not easily achieved and because property prices are still adjusting there is no derth of people looking for finance, this implies high margins on lending which will take away some of the gains made for the consumer when rates are cut. The forward trend in banking and mortgages is that loans will be made, but they will be stringently underwritten, the collateral will have to be good and the margins will be high.